Arctium minus. By Glen Mittelhauser. Copyright © 2017 Glen Mittelhauser. New England Wild Flower Society. gobotany.newenglandwild.org (Accessed 9/2017). Arctium minus is a biennial herb to 1.5 m tall in flower, coarse plant from a large, fleshy taproot. Arctium minus basal rosette.Marco Polucci.pallano.altervista.org (Accessed 10/2016). 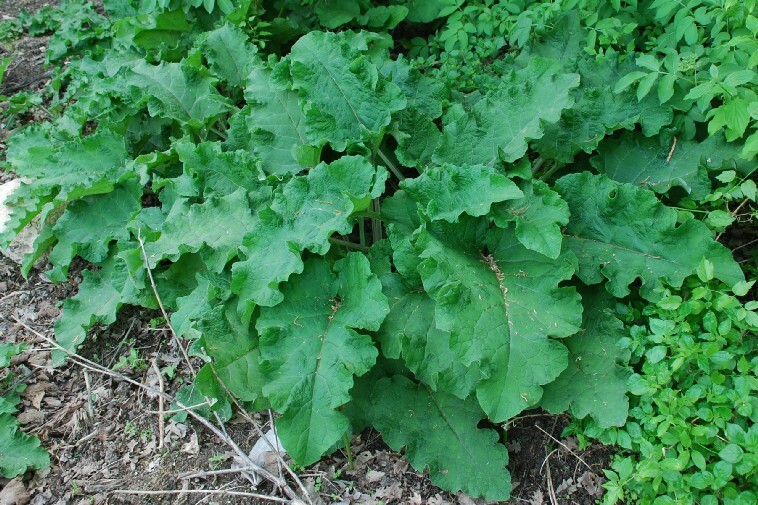 Leaves alternate, forming a rosette the first year, rosette may remain small until the second growing season, stalk of lower leaves hollow; blade to 50 cm long, 40 cm wide, heart-shaped, thick, dull green, surface wrinkled above, whitish, wooly below, margins wavy. Arctium minus flower heads. 2004 © Peter M. Dziuk. Minnesota Wildflowers. missesotawildflowers.info (Accessed 9/2017). Flowers purple, small, radially symmetrical, all tubular (disk flowers), crowded at the summit of a rounded head, 1.5-2.5 cm thick, basal bracts overlapping in several series, very narrow, numerous, each tapered to a hooked spine at tip; inflorescence branched, heads with short stalks; initiated in June, flowering starts in July; self-fertile (autogamous), but frequently visited by several bees, (Bombus spp, Halictus spp., and others, and flies (Mulligan and Kevan 1973; Gross et al. 1980), blooming and fruiting July-Oct.
Arctium minus fruiting head. By Donald Cameron. Copyright © 2017 Donald Cameron.New England Wild Flowet Society. gobotany.newenglandwild.org (Accessed 9/2017). Fruit, dry burs are clusters of one-seeded fruit, the head detaching whole (Uva et al. 1997). 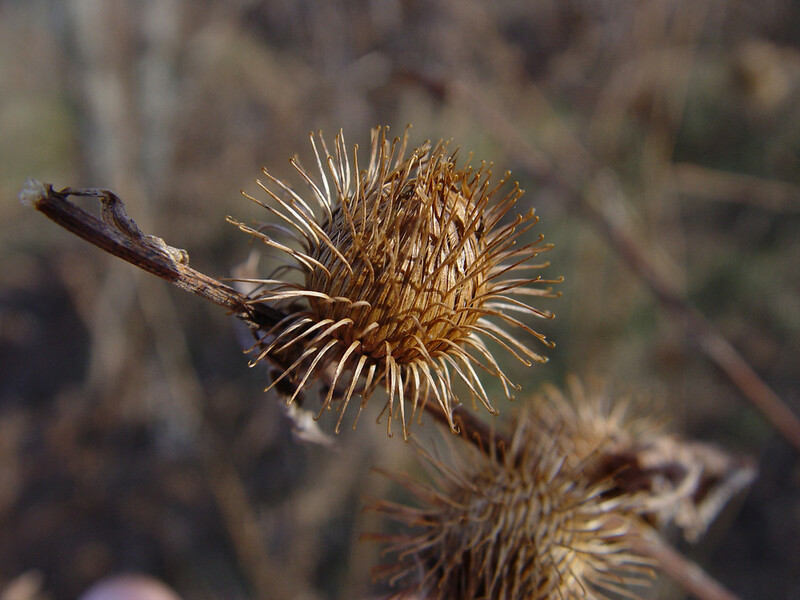 Seeds mature by Sept., dispersed through winter by clinging barbs of modified floral bracts attaching to fur or clothing; winter plant much branched, with persistent burs. Seeds eaten by some birds. Habitat: Along disturbed, wooded edges, roadsides in open or part shade, moist soil of lake or pond edges. Generally prefers high nitrogen, soils. Appears quite shade tolerant. Notes: Large leaves of rosette can shade out native plants. 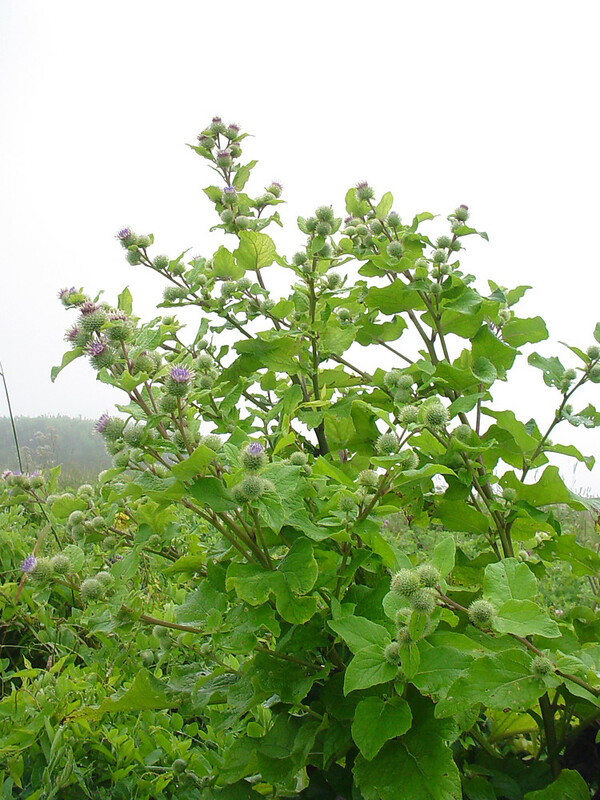 Burdock is attacked by Metzneria lappella, the burdock moth, a native of Europe, now established in North America. The moth larva destroys the seeds within the flower heads. The moth is attacked by three parasitic wasps, (Hyssopus benefactor, H. thymus and Agathis metzneriae ) the last of these is in turn attacked by two hyperparasitic wasps (Perilampus fulvicornus and P. similis). 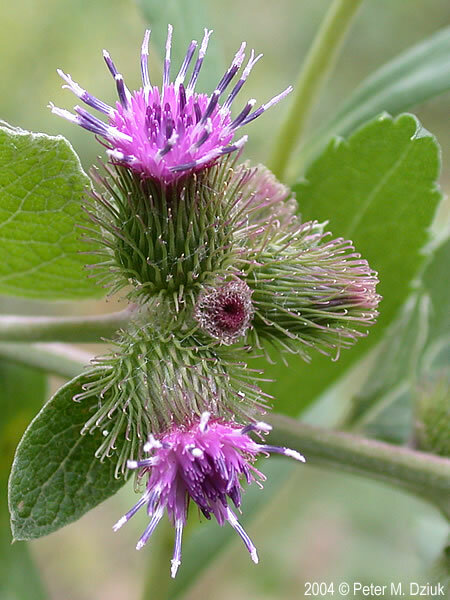 A variety of microorganisms have been found on burdock including several that are pests of agricultural and horticultural plants. These include a powdery mildew (Erysiphe cichoracearum) that attacks cucumbers, lettuce and chrysanthemums, and a root rot (Phymatotrichum omnivorum) that attacks over 1700 species of plants, (Gross et al. 1980). Long used as a medicinal for a wide variety of ailments. Known to be a diuretic, (Gross et al. 1980).